The Voyage may be dead, but the Kindle line still has some life left in it. This time last year, Amazon upgraded the high-end Oasis model, and now the mid-range Paperwhite is getting a little love.The workhorse of the company’s devoted e-reader line just got a handful of upgrades that will give users a more premium experience, while keeping the device’s starting price at $130. Waterproofing is the most exciting among the upgrades here. 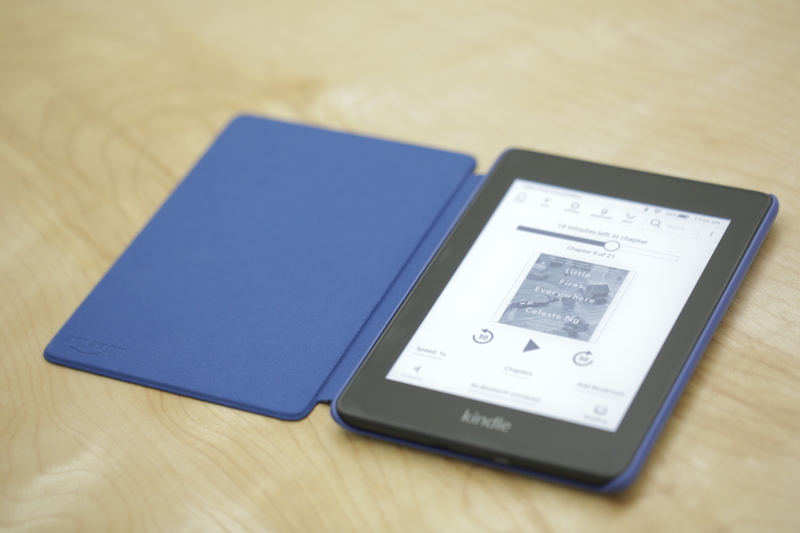 Remember that time four years ago when we ran a story with the headline, “This Waterproof Kindle Paperwhite Is Humanity’s Greatest Achievement?” Well, this is that potential fulfilled — now directly from Amazon. The reader sports an IPX8 rating, meaning it can be dunked in two meters of water for up to an hour. That bit comes, in part, courtesy of another key upgrade. Like the Oasis before it, the reader sports a flush front, rather than the raised bezels found on older, cheaper models. The move gives the model an overall more premium feel and should help keep water from invading its circuits. It also goes a ways toward making this the thinnest and lightest Paperwhite, as well. Another key change is the bump from four LEDs to five. Seems like a small thing, but it goes a ways toward keeping the front lighting more uniform across the board, versus the more patchy consistency found in earlier models. Performance should be roughly the same on this model, though storage has been doubled to 8GB. There’s a 32GB model as well, for those who really aren’t into cloud storage. That move comes largely because the model is also getting Bluetooth, so users can listen to audio books through Audible using the device. The Whispersync feature makes sure users are up to date with both the text and audio versions. There are a couple of tweaks to the software, including an updated home page with more customized recommendations, along with the ability to save different setting profiles. Pre-orders start today, and the new Paperwhite will begin shipping November 9. That $130 version includes Special Offers (ads), which Amazon says most customers are still opting into. Prices go up from there.